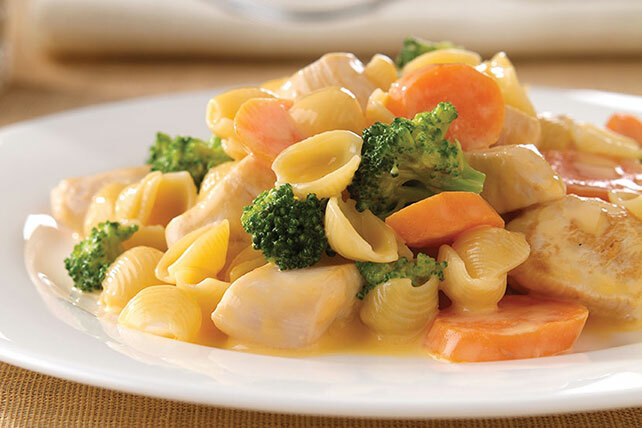 Sneak some veggies into this no-fuss VELVEETA Cheesy Chicken Skillet that can be prepped in 10 minutes flat. Even your pickiest eaters will approve! To shorten the prep time, use pre-cut vegetables purchased from the produce department of your supermarket. Substitute frozen peas for the broccoli.